This giant noticeboard measures 90cm x 78cm and provides plenty of display space for school notes, photos, drawings etc. 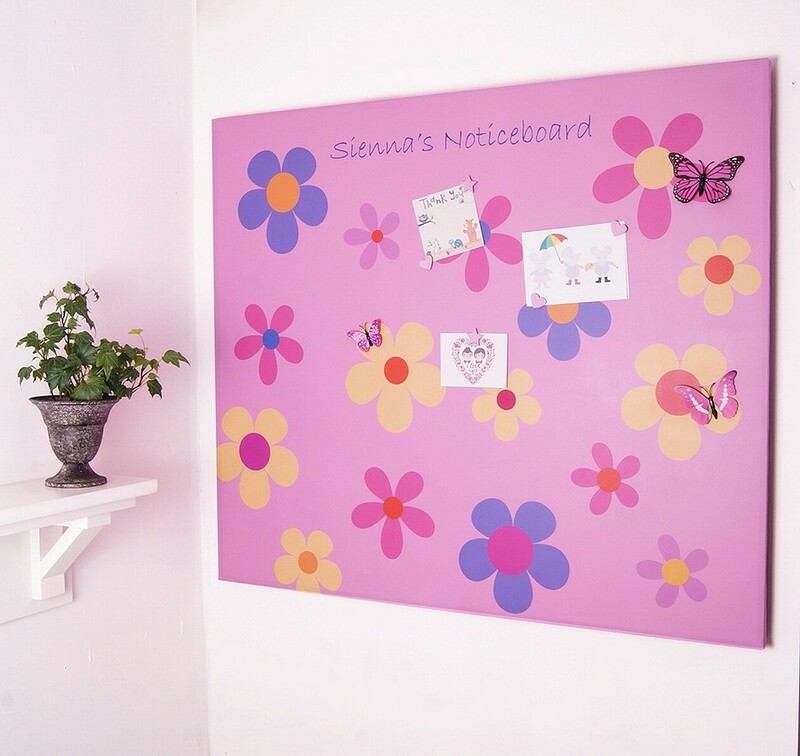 Complete with fixtures for hanging on the reverse and six co-ordinating magnets this noticeboard could help bring order to rooms littered with paintings, notes, pictures and postcards! Please allow 2-3 weeks delivery for this bespoke item.